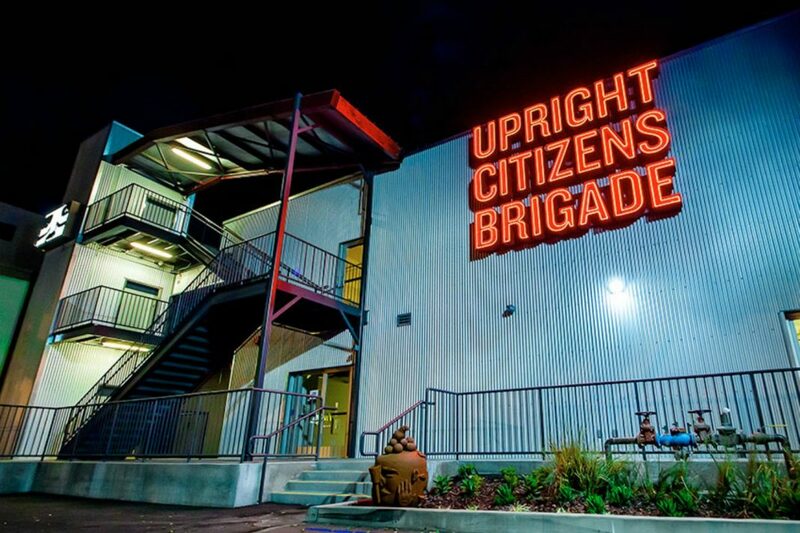 L.A.’s famed Upright Citizen Brigade Theater—an improv school and performance space that’s served as a launching pad for some of Hollywood’s best and brightest—isn’t doing so well financially. A few months ago, the organization laid off much of its sales and marketing teams in New York and closed its East Village outpost. And now the cuts have come to our neck of the woods: UCB Sunset, a theater that opened in East Hollywood five years ago, will go dark a few nights a week so that owners can rent out the space, while shows at the student-run Inner Sanctum are being cut on Mondays and Fridays. As cracks have begun to form in the theater’s improv empire, some question whether UCB’s founders can continue to ignore big, existential questions about the way the organization operates—including the pesky issue of not paying performers. Adam Conover, star and show runner of Adam Ruins Everything and a long-time performer at UCB, believes now is the best time for improvisers and stand-ups to advocate for equity in the company and demand payment for their labor. The theater still relies on the presumption that exposure is its own form of payment. But critics have charged that the expensive schooling all but ensures only those from privileged (read: white) backgrounds can afford to take the gamble. Conover says he’d also like to see performers involved in big business discussions that can affect their livelihoods, pointing to UCB’s decision to move from their smaller Chelsea theater back in 2017, in part to comply with the Americans with Disabilities Act. He says he’s had conversations with dozens of other UCB members who also want more transparency.